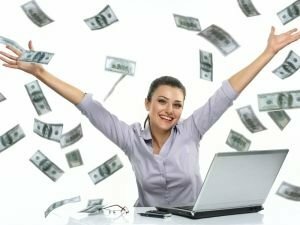 Newest articles and materials on Money. Read about stories, mysteries and convenient advice when it comes to Money. Get the newest reports and publications on Money. All you have to do is pick 3 coins, wash them well, then dry them (this is done to eliminate any foreign energy they may be carrying). Next, pour a little sea salt at the bottom of a jar, salt shaker or piggy bank. . . The days of May 9 - 11 are a period which the ancient Chinese called days without wealth. There are a number of strictly defined rules for these days which we are advised to follow, in order to spare ourselves serious headaches in the future. Typically, we all wish each other happiness, luck, love and money for the New Year. To make these wishes come true, each country has its own rituals that its citizens carry out on New Year's Eve. The Three Legged Frog is one of the most powerful charms in the Chinese teachings of Feng Shui. If you place it in the right place it will bring money and prosperity to your home. Capricorn is absolutely obsessed with money. They are fanatical about and slaves to their material status in life. They spend all of their conscious life in anguish about money. According to the study, the wealthiest individuals belong to the zodiac sign of Gemini - 9. 9 percent, among these being musical legends Paul McCartney and Tom Jones, as well as master chef Jamie Oliver. Sagittarius - a summer of life lessons to come. Leo - accomplishments in your career lie ahead. Aries - a new love is on the way. Representatives of the zodiac sign of Aries love spending money, buying new things, never even thinking about whether they will be able to pay their bills with their salary. Aries live for the moment, which can trick them into spending their last dime.